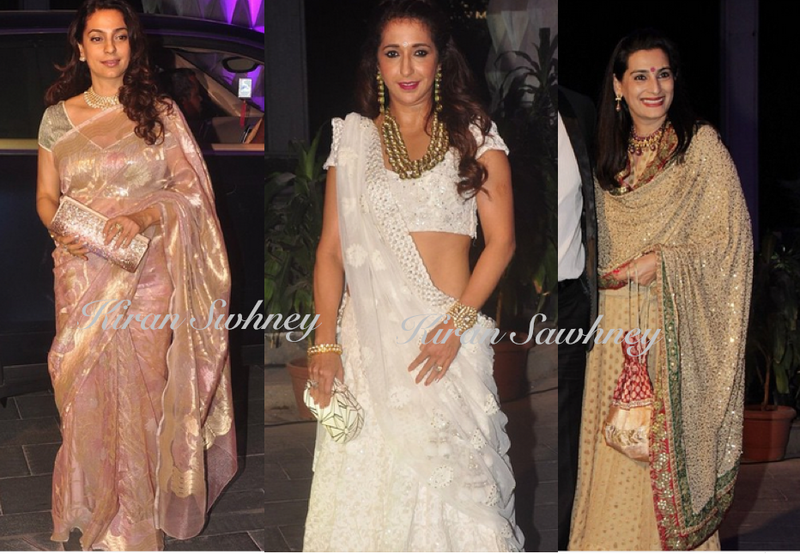 Juhi Chawla, Krishika Lulla and Mana Shetty were there at Smita Thackeray's son's reception. Who is your favorite? We loved Juhi's look- Sari, necklace and clutch. Must say she is aging very gracefully. We like Mana's red bindi and potli but her lehenga is OTT for us. Krishika is nay for us.